Hero MotoCorp has signed up as a National Supporter for the FIFA U-17 World Cup India 2017 which will be held across 6 host cities between 6-28 October this year. Headquartered in India, Hero MotoCorp is the world’s largest two-wheeler manufacturer and has had a long-standing association with various disciplines of sports. Hero MotoCorp will play a vital role in supporting the competition locally in India. With the signing of the agreement, Hero MotoCorp has filled the second of six National Supporter slots for the FIFA U-17 World Cup India 2017. 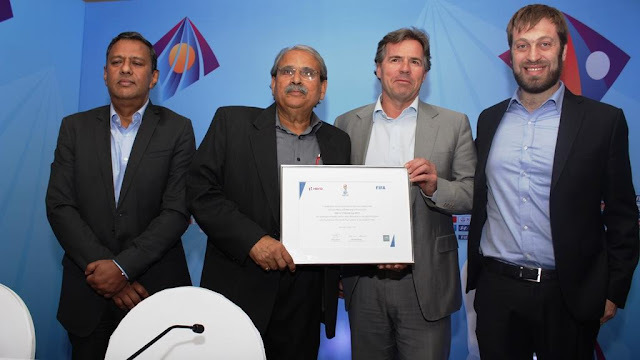 Commenting on the association, Mr. Pawan Munjal, Chairman, Managing Director & CEO of Hero MotoCorp said, "Hosting the FIFA U-17 World Cup is a significant landmark for India and Indian football and at Hero MotoCorp, we are immensely proud of being associated with this event. Football is a rapidly growing sport in India, particularly among schoolkids and our commitment to supporting the game has grown strongly over the past few years. I am sure that our association with the FIFA U-17 World Cup will go a long way to further popularising football across India, and I look forward to seeing the future international stars in action and wish all of the teams the very best of luck."